The Form I-797 Notice of Action is an official USCIS letter of of Receipt of payment, Rejection, transfer, fingerprint, interview appointment sent by USPS mail. If your employer or attorney had filed application on your behalf, then they will receive this i797C notice of approval. If you filed the application like for H4 EAD, you will receive i797C notice of action in your mail box. 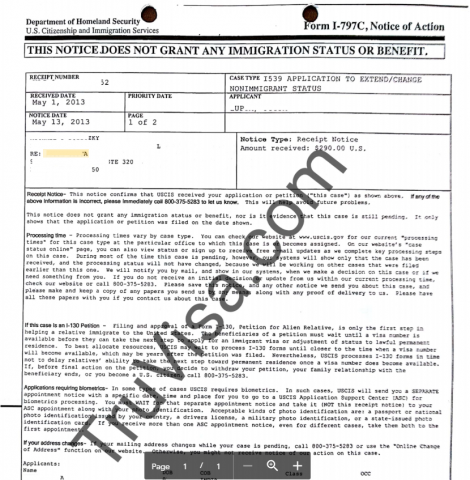 The same i797C form is sent for I140, H1B, H4 and other visa approvals too. This notification can have following Notice Types. Receipt Notice: USCIS issues a receipt notice with receipt number to use for tracking on USCIS website. 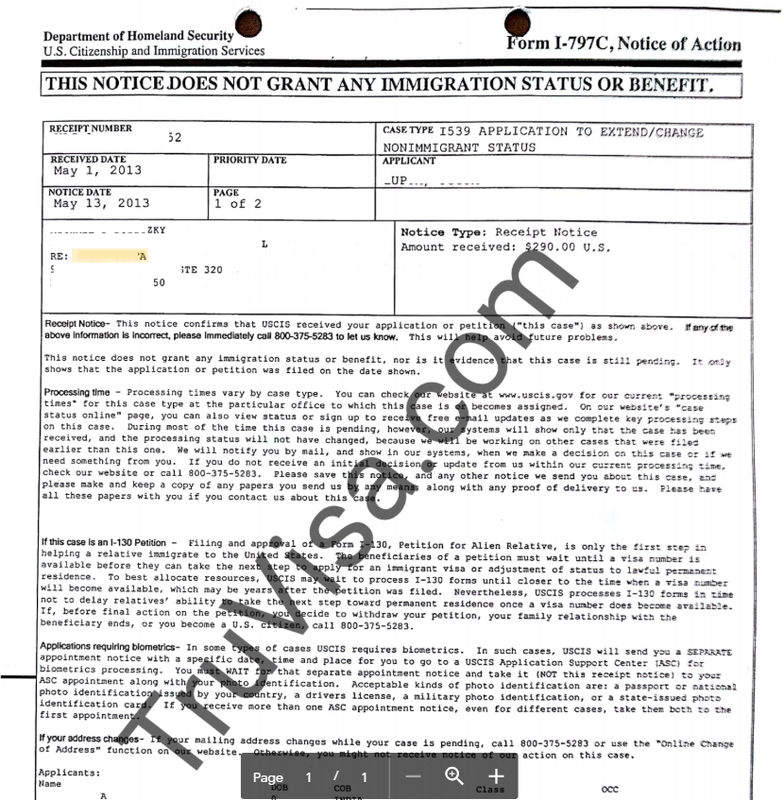 An example i797C notice of receipt for i539 (H4) application is given below. Rejection Notice: USCIS returns your application as it has incomplete information or incorrect payment. Transfer Notice: USCIS case transfer to other USCIS service center. We see this normally happen with H1B case transfers to other centers to reduce workload at California service center. Re-open Cases: If you apply for reopening of a denied case, you receive a formal i797C form as a proof. Appointment Notice: Appointment notices for fingerprint, biometric capture, rescheduled or interview interview appointments like i485 green card containing the appointment date and time. USCIS started issuing i797C on plain paper to save cost after April 12, 2012. Does i797C notice of Action mean Application is Approved? I-797C is only a USCIS receipt and does not mean your application is approved. You cannot use it to apply visa stamping at US embassy or apply for EAD card.